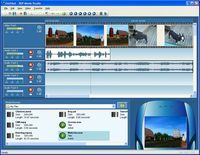 This download contains DivX Pro, the professional version of DivX video software. DivX Pro includes all the software needed to create and watch video content in the popular DivX video format, bundled with a full suite of powerful encoding tools enabling the highest levels of visual quality, compression and control. 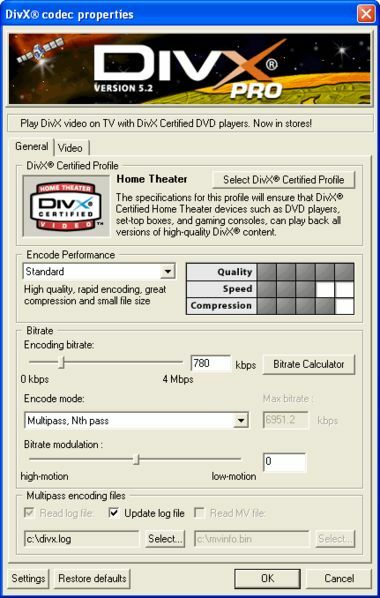 DivX Pro plugs into your existing video software to produce high-quality movies (at one-tenth the size of a DVD) for viewing on a PC or, with DivX Certified DVD players, on any TV. By including powerful video editing tools previously available only with expensive professional video editing applications, the DivX Pro codec enables the production of studio-quality video. The Electrokompressiongraph (EKG), modeled after the tools used by Hollywood to master DVD video, is an advanced encoding utility offering unparalleled precision and control. The Encoder Feedback Window mode allows users to modify advanced parameters and visualize results in real-time. Psychovisual Modeling feature exploits the peculiarities of the human eye to enhance fine details of complex visual scenes without increasing file size. Source Preprocessing automatically cleans source video to enable better compression and higher visual quality. While Adaptive Bi-directional Frames enable even smaller file sizes and higher quality. DivX Pro also offers built-in tools for de-interlacing, re-sizing, and cropping movies. 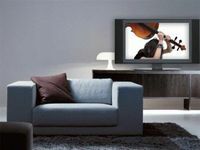 The DivX Player, included in the DivX Pro bundle, plays all DivX video ever created, including DivX 3, DivX 4, DivX 5 and the growing library of more than 17,000 DivX Video-on-Demand (VOD) titles. DivX Pro also adds DivX video playback support to most popular media players. The DivX Pro codec is the most advanced video compression software available today.